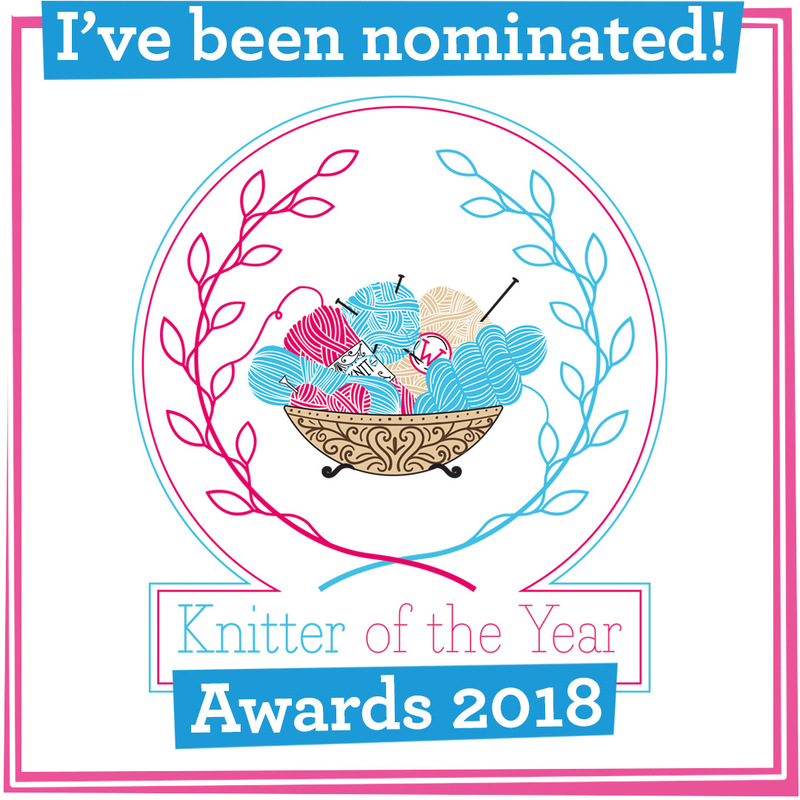 My prize for winning an Online Innovator award from Knit Now magazine in their Knitter of the Year 2017 awards was a trip to Sirdar's headquarters in Wakefield, West Yorkshire. It was such a packed and interesting day that it'll take three blog posts to tell you all about it. 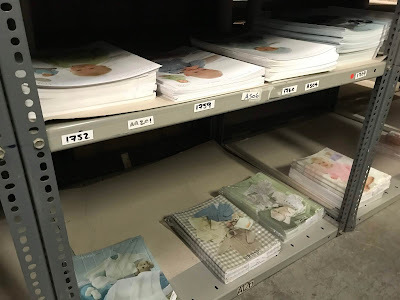 I'll be reporting on the design room where the patterns are created, the showroom which features garments from future collections, and today's post is all about the warehouse full of thousands upon thousands of balls of yarn. My request for a five minute trolley dash was politely declined! 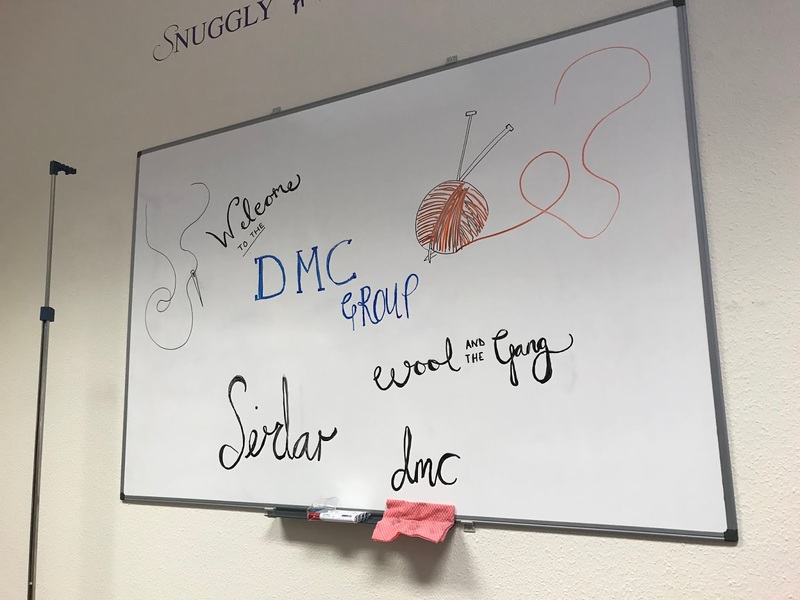 After all the winners had arrived we congregated in Sirdar's meeting room along with Kate Heppell, Knit Now magazine's editor and various super-friendly Sirdar staff members from their design and marketing departments. 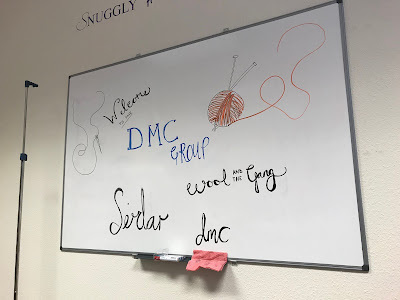 The first thing I learned is that Sirdar is part of the DMC group and consists of three brands: Sirdar itself (and its sub-brands Hayfield and Sublime), DMC, which I previously knew made embroidery and tapestry threads but also makes knitting yarns too, and Wool and the Gang, a more fashion-forward company. This was not just any old meeting room, this was a yarn-filled meeting room containing a ball of all the colours and varieties in the Sirdar range, including a few planned for next season. These are top secret but what I can tell you is look out for the new colours and additions to the Sublime range in Spring/Summer 2019 - two are especially exquisitely covetable. Whilst all the winners started off in best behaviour mode it didn't take long before we were having a good squish and inhaling all that yarny goodness. 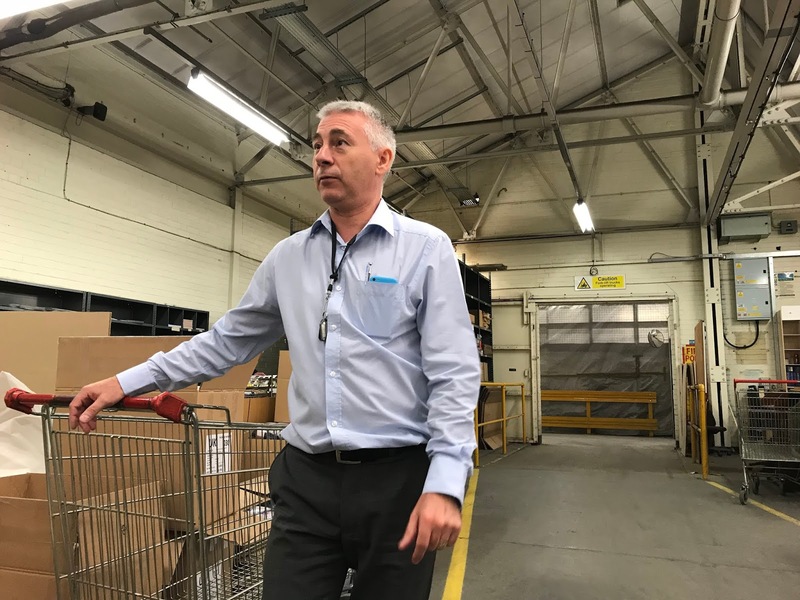 Then it was time to head to meet Darren, the logistics manager, in the warehouse. At the beginning of the century Sirdar sadly stopped spinning its own yarn here. 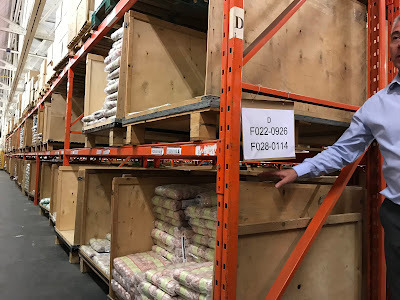 Like a lot of manufacturing businesses Sirdar found that increasing globalisation meant that it was no longer competitive to produce its products in this country, so they had to restructure and outsource to survive. A factory in Turkey bought a lot of their machinery and today 80% of Sirdar yarn is manufactured there. 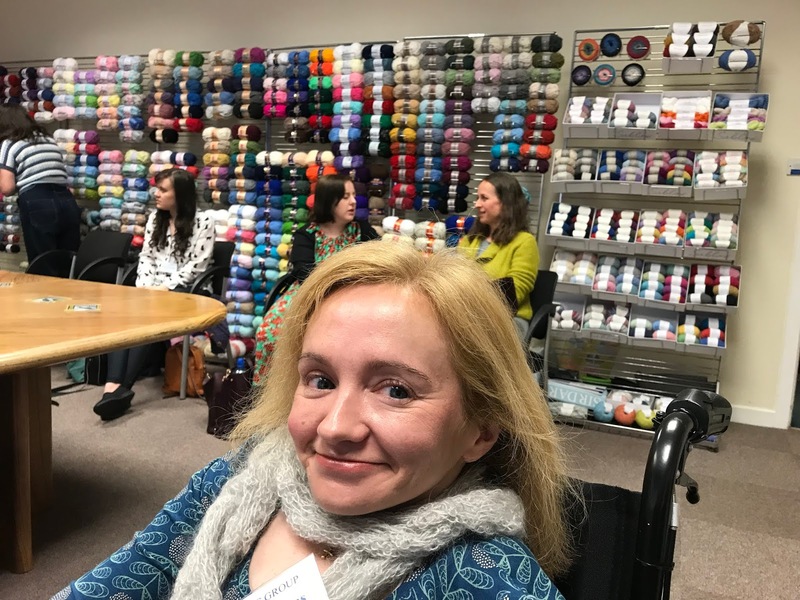 It's the job of the product development and design teams to decide which yarns and colours they want to include in the range, based on feedback and future forecast design trends. 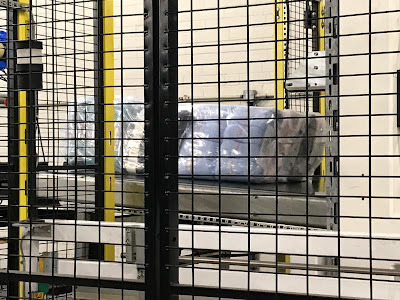 When the manufactured yarn arrives at the warehouse in containers it is quality checked to ensure it's up to standard and then sorted into shade and blend numbers. Once the team are happy the yarn is taken out of boxes and onto wooden trays. Each consignment is inputted into the computer system and allocated one of the thousands of positions in the warehouse so it can easily be found when a customer places an order (Sirdar sells direct to retailers and not currently to individual members of the public). 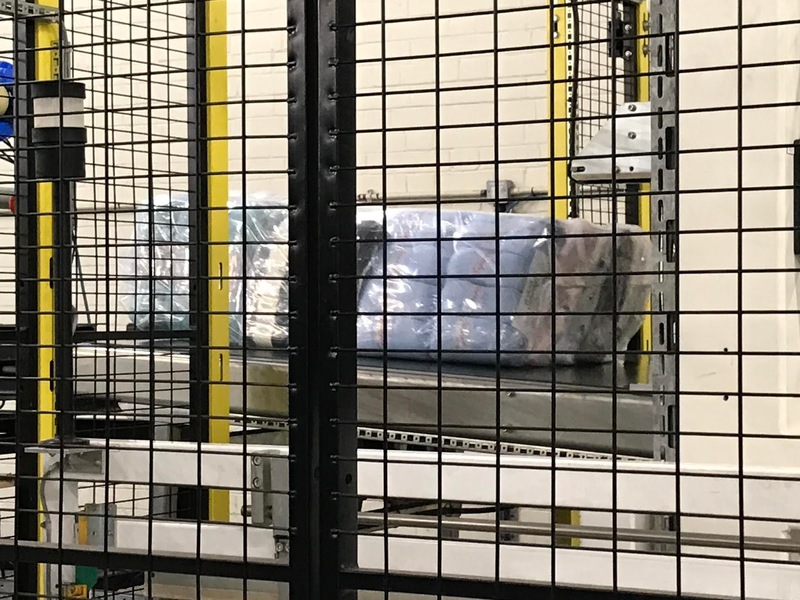 When Sirdar receives an order the products are retrieved from their designated shelf positions and then moved to the packing room where a huge machine bundles the yarn together in plastic and seals it with heat. A number of team members study the pick list to double check the customer receives the correct invoice, packing note and products. The order then is put on a van to be sent out to the depot and shipped anywhere around the world. From September onwards is their busiest time of the year. It's not just yarn that Sirdar stores in the warehouse, it's pattern leaflets too. These are produced upstairs in the design room (more of that in the next blog post) and printed in house. There's one colour machine for the garment photograph and a black and white one to print the instructions. There's a ready-made selection of leaflets on numerous shelves ready and waiting for trade customers. Like the yarn, each has its own designated position on the computer system. 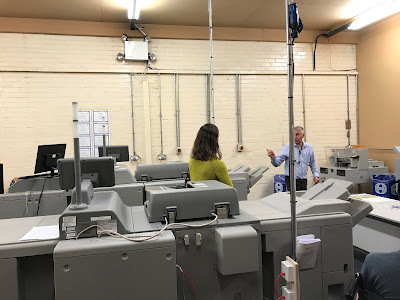 The tour of the warehouse opened my eyes to the complicated logistics behind a successful international yarn and pattern business. Though A Woolly Yarn champions British wool and in an ideal world their yarn would still be produced in the UK, Sirdar has done a great job in adapting to stay alive and thrive in a very price conscious and competitive market and is an important part of the UK's knitting industry. How are knitting patterns designed? Find out in the next post Behind the Scenes at Sirdar: Part 2 - The Design Room. Then discover what goes in the showroom Behind the Scenes at Sirdar: Part 3 - The Showroom. 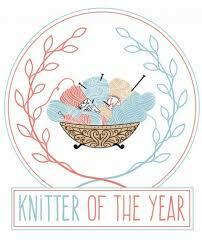 Balls V Skeins: Which Gets Your Vote?